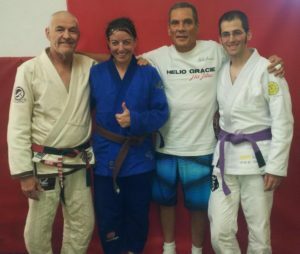 Legendary instructor Fabio Santos joins the podcast for our second episode, in an interview I recorded back in 2013 on a trip to California. Fabio is a pioneer of BJJ in the United States, having taught jiu jitsu as far back as 1983 in New York. He later joined the staff at the seminal Gracie Academy in Torrance, where he helped Royce prepare for the UFC. His most momentous move was to San Diego, where he has since become a pillar of the local BJJ community, having been there from the start. Subscribe to the Artemis BJJ Podcast here. For an edited transcript of this interview, go here. You can also download this episode here.